Happy 7.11! 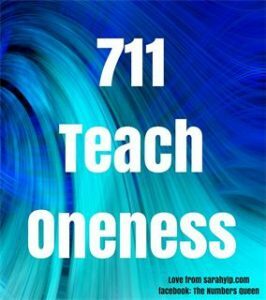 Ever since I became a numerologist, and started this blog on spirituality and 11:11 on clocks , I’ve been asked by hundreds, if not thousands of people what specific number sequences, including 711, mean. My answer is – it depends. It’s like learning a language – the more you study and practice numerology, the more fluent and confident you become in interpreting codes. You’re building a relationship with your Soul, and that takes time and patience. When are you seeing the numbers? For more accuracy, you can look at your name numerology, pinnacles, challenges, and the lifepaths of your family and loved ones, e.g. through a psychic reading, courses or personal research. As they say, the quality of your life is determined by the quality of questions you ask yourself. 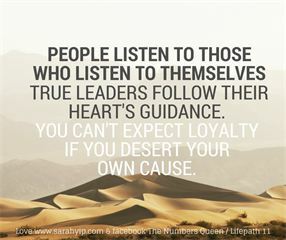 True leaders listen to their hearts and Souls first, and others, second. You can’t expect loyalty if you desert your own cause. Keeping a diary helps! I take photos of number sequences in my daily life and post them on facebook as The Numbers Queen for easy reference. What Does Seeing 711 Mean? *You are going through an important spiritual lesson. This is a time to learn and teach oneness. People are either asking for, or giving love. 7 represents hard-earned knowledge gained through trial and error, and 11 reflects people growing into their true potential (reaching for the sky). Note how 11 is an equals sign, so it’s about peers mentoring each other, not ‘top-down’ bossiness. Earth is a school, and there are times we are tested in order to make us stronger. We live in 9 year cycles. Look for the patterns in the situation you are going through. When did you last feel like this? What needs to be healed so you can break this cycle? Remember, you can never ‘cut off’ from pain or other people – they will simply come back in other ways, as illness or further frustrations. Until you can see where you are exactly like your enemy, and make peace with them, your heart will never be free. You don’t have to condone their behaviour, just understand it. Read more on stopping bullies. This is a truth I learned through Holistic Counselling, the Work of Byron Katie, Family Constellations, Past Life Regression and other powerful modalities. I could not be a full-time psychic until I released my baggage – to work in this field you must stay clear. I still journal everyday and regularly receiving treatments. More on my teachers and healers. *Your Crown Chakra is healing. Our 7th, or Crown Chakra, is where our bodies end and our invisible Self/ Soul begins. I see the 7 as a cliff that you’re invited to jump off – you could be about to take some leaps of faith! Don’t forget to measure the distance and to strap your wings on, e.g. take calculated risks based on your intuition rather than rushing into things out of fear. Prayer and is recommended at this time, or visualisation if you prefer. Read more on making your day a miracle and my recommended meditations. Kings and Queens wear crowns, so when you see 711 it’s a reminder that You are Spiritual Royalty! Value yourself, your time, energy and money, and watch the Universe match your confidence with new opportunities. *You have strong 7 or 11 numerology, e.g. in your lifepath or personal year. Or you are connecting with people who have these qualities (for example, I saw 555 repeatedly just before a new bunch of lifepath 5 people entered my life). This article is just a taster of what 711 can represent. Don’t just believe me, test these ideas for yourself and let me know what you find! I’m aware that 7-11 is also a convenience store – perhaps it’s because 711 is the codes for spiritual abundance – when you follow your hunches, your every need is met! Thanks to Stella Star, my 7.11 client who inspired this blog post. You’re in good company. I appreciate your support. If you enjoyed this blog, please join my facebook page The Numbers Queen. You’re welcome to post on the timeline. You can also subscribe to my e-news for articles (see homepage).